Whether you are promoting a new product, a sale, new menu or a job… SMS web pages is the perfect way to tempt your customers. They say pictures can say a thousand words... So tease and tempt your customers with some beautiful images and then carefully construct the persuasive marketing message leading them to your ideal call to action button. SMS web pages are simple, quick and easy to setup - and a great way to impress your customers. 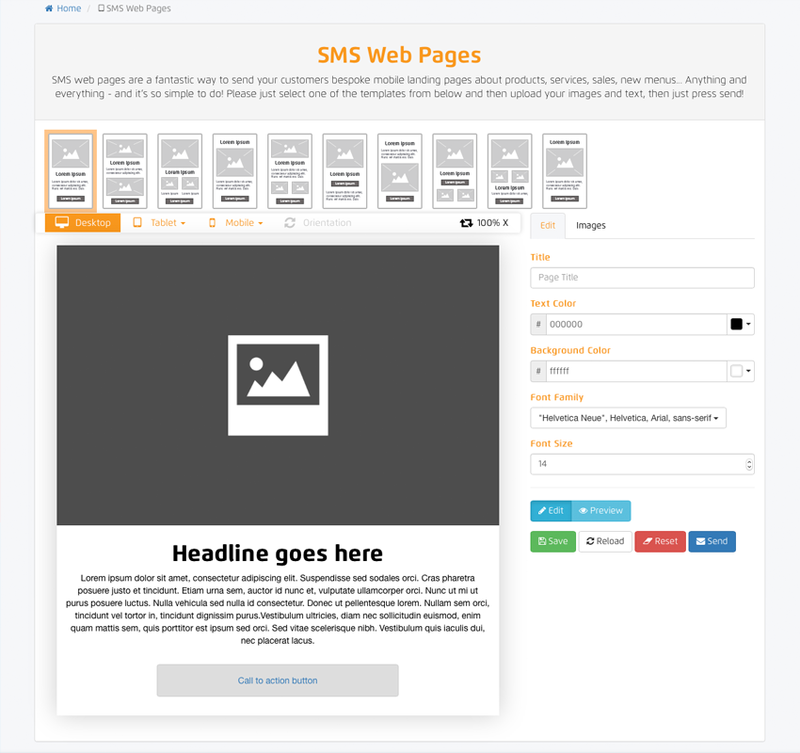 Our SMS web page creator is perfect if you need to create a simple, yet effective, mobile landing page, without the hassles of creating a whole new dynamic page on your website. With no technical or development knowledge required, it really is easy to design and create your very own, professional looking, mobile landing page. 6. Preview your web page and send - easy as that!